As you’re getting ready for your event, we are preparing materials for you so that you can enjoy your race to the fullest. We have included in this newsletter useful information for all participants: The race course, so that you familiarize yourself with it Two swim sets that you can practice this week Clues and … Continue reading Open Swim Stars Sunset Race 2018 is just one month away! As you’re getting ready for your event, we are preparing materials for you so that you can enjoy your race to the fullest. If you haven’t signed up yet, hurry as we now have very limited space. Don’t miss your slot (only 25 slots are still available on the 3.5 km) ! Signup, only limited space left! Pre-event briefing: 4.30pm. So please be on time ! Come and challenge yourself ! Thank you for taking part of our First Sunset Race in Singapore with two original races : 800m open to all or 1.5km open to more experienced and trained swimmers. Attached is our e-booklet. It contains all the information for the event, race collection package as well as directions to reach the NRSCC Sea Sports Centre on Changi Coast Walk…and of course schedules and prizes. There you go, another TWO sets to get you ready and in shape for the first SUNSET Open Water in Singapore! A new drill this time, to prepare you to swim in open water conditions. You will not touch the wall during your sets. These sets are prepared in partnership with Loic Branda, 5th at the World Championships on the 25 km distance. This first set is to be done in the pool, you can print it out and bring it along on the pool deck. We will provide sets each week, so enjoy! This is a second and third open water swim training set prepared for your with Loic Branda, our open water swimming coach consultant, who came in 5th at the World Championships. In this set, we start introducing the notion of Critical Swim Speed, which is a threshold you want to achieve in your training sets when preparing for a long-distance or open water swim. What Is Critical Swim Speed (CSS)? CSS is the pace at which you’d swim a long distance or open water swim. Here’s why CSS training is effective and how you can use it. CSS is typically at 75% of your maximum heart rate. It’s a pace that’s tough enough to develop your aerobic capacity but not so hard that it’ll take you days to recover. CSS is a race-specific training pace. It may not make you the fastest sprinter in the pool, but it will train you to sustain a moderately high speed for longer distances, which is what you want to train for for preparing for an open water event. CSS training teaches you about pace awareness while you swim, and without any equipment. If you go off too fast, you’ll pay the price later. 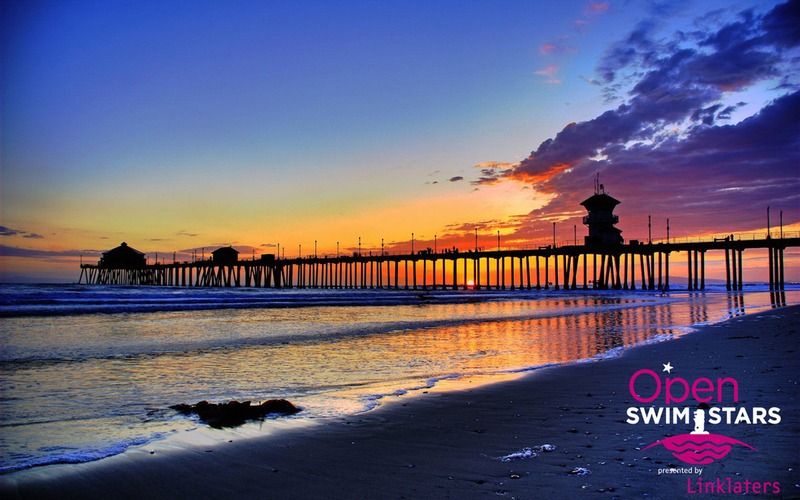 As of this week, and until the day of the event, we will offer specific training sets to prepare yourself to swim the Open Swim Stars Sunset Race, on May 14th. Trainings will be provided in partnership with Loic Branda, 5th at the World Championships on the 25 km distance and owner of Swim the Riviera . He will coach you in partnership with us! One key to successful open water swimming is to train for variable intensities. This training set focuses on the specified up tempo on the sets of 200’s. In this set, the workout is intended for a pool, preferably 50m, but you can adapt to a 25m as well. In the coming weeks, we will also provide some open water training and tips for open water training. Below is the first set that we are offering, with also a link to a PDF, if you want to print it out and bring it on the pool deck for your next training. We will be posting each week until the event more open water training sets, to be done either at the pool or in open water. Optional – 10 minute Freestyle swimming, nonstop – with the objective to swim the greatest possible distance. As of this week, and every Monday until the day of the event, we will offer training sets in order to prepare yourself, in the best conditions for the May 14th event. « Swim the Riviera » partners with Open Swim Stars 2016. The Open Water Swimming Workouts will be designed for athletes that are preparing for either a triathlon or openwater swimming event. A key to successful open water swimming is training for intensities throughout the race. Our workout sessions will focus on the specified up tempo on the sets. No matter how good you are in a pool you still need the confidence, fitness and skills necessary to swim fast in open water. Open water can be exhilarating and rewarding, but also presents a range of unique challenges – deep-water mass starts, close proximity swimming, navigation and turns around buoys, swimming in currents and tides, breathing in turbulent water or swells, cold water immersion or sun glare and transitioning through a variety of swim exits. If you are a novice, you should spend some time in the pool developing the skills required for open-water swimming: sighting, swimming straight, bilateral breathing, drafting and close proximity swimming. Loic Branda, a former competitive swimmer from France, 5th at the World Championships on the 25 km open water distance will prepare the sets for you and will be your coach! The Bintan Open Water will be held at the Trikora Hotel (a brand new eco resort) located on the East side of Bintan about 45mn away form the ferry jetty. Surrounded by a long white sandy beach and a fantastic clear blue water this resort is an ideal spot for our next open water race. For the first time ever, Swim Stars launches his very first Olympic race that offers the possibility to the best swimmers only to swim a 10KM from BINTAN to NIKOI island !! Never been done before this race offers a unique possibility to swim and cross through these 2 islands. Price info will be available soon ! Open Swim Stars Sunset Race - 29 September 2018 - The ​Open ​Swim ​Stars ​Sunset ​Race ​is ​open ​to ​all ​participants. ​ It ​is ​our ​fifth consecutive year organizing ​open ​water ​swim ​events ​in Singapore by ​Sports ​Swim ​Organisation. Starting ​at ​5pm ​on ​Saturday ​evening, ​participants ​can ​take ​part ​in ​either ​the 1 km ​or ​the ​3.5 ​km ​categories. Open Swim Stars launches its annual SUNSET Open Water swim event in Singapore in May! 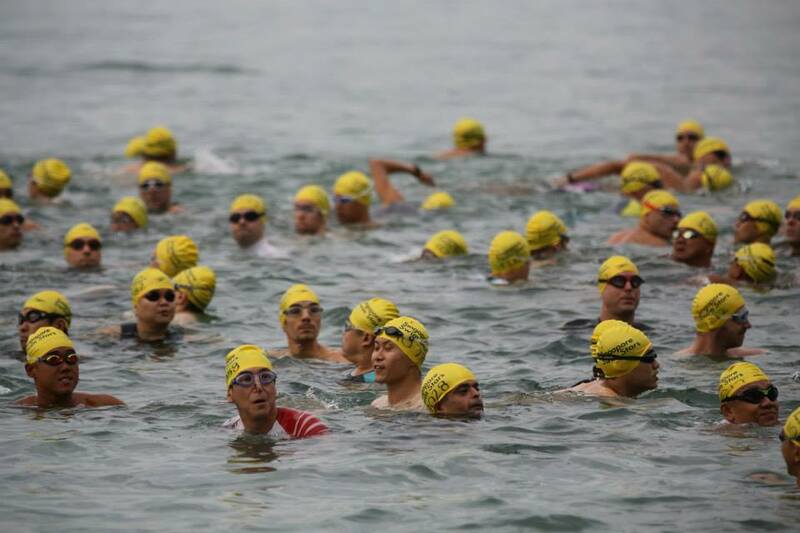 The 800m race aims to attract sprint swimmers, teams youths and first-timers in open water. The 3km race aims to appeal to swimmers and triathletes who wish to challenge themselves and go beyond their limits. Join us for an amazing open water swimming experience in Singapore and challenge yourself whatever your distance, the 800m or the 3KM.